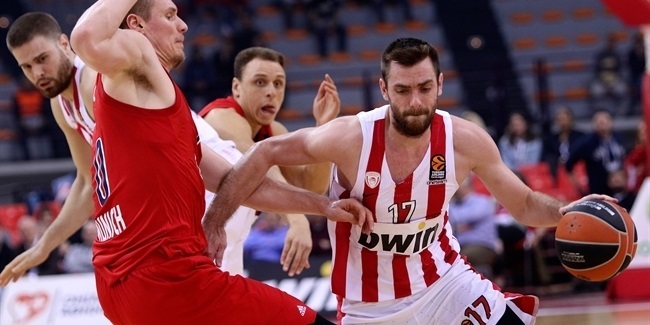 A familiar face returns to Piraeus! Olympiacos announced the signing of small forward Kostas Papanikolaou through the end of the 2017-18 season on Tuesday. Papanikolaou (2.06 meters, 25 years old) arrives from Denver of the NBA, where he averaged 2.6 points in 26 games this season. He grew up with Aris Thessaloniki and joined Olympiacos before the start of the 2009-10 season. In his four seasons with the Reds, Papanikolaou helped Olympiacos win back-to-back Euroleague titles in 2012 and 2013. 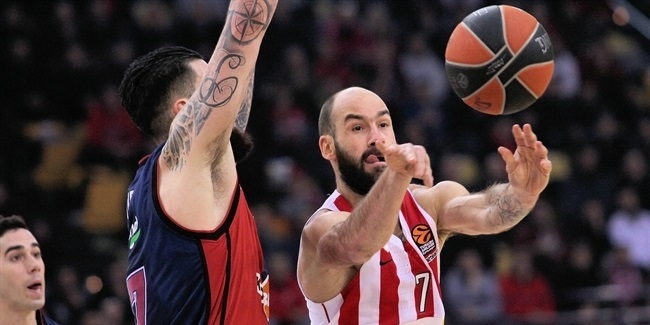 He shined in the 2012 Final Four with 13.5 points on perfect shooting to lead Olympiacos to its first Euroleague title since 1997. Papanikolaou was chosen as the 2012-13 Euroleague Rising Star after averaging 8.7 points on 52.1% three-point shooting (50 of 96) to help the Reds defend their continental crown. He also won a Greek League and two Greek Cup titles with Olympiacos before joining Barcelona for the 2013-14 season. Papanikolaou helped Barcelona win the Spanish League title and reach the Euroleague Final Four that season. He has also played for Houston of the NBA. Papanikolaou is a regular member of the Greek national team. He helped Greece win gold medals at the 2008 U18 European Championships and the 2009 U20 European Championships and silver medals at the 2009 U19 World Championships and the 2010 U20 European Championships. He will become eligible to play in the Euroleague after the signings' window opens prior to Round 8 of the Top 16. 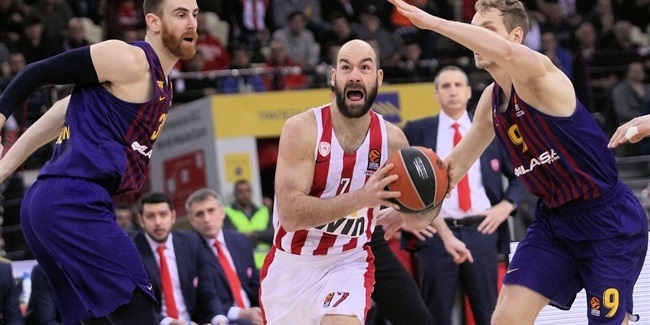 "I can't wait to see Vassilis (Spanoulis), Giorgos (Printezis) and Vangelis (Mantzaris) just like many guys from the technical staff with whom I share a lot of memories," Papanikolaou said in a statement issued by the club. "I'm certain, knowing the guys, that the atmosphere in the team is excellent and I can't wait to come back."